(p. A15) A massive academic hoax has taken a surprising twist. Peter Boghossian, an assistant professor of philosophy, faces disciplinary action at Oregon’s Portland State University. The accusations against him raise constitutional questions about federal regulation of academic research. They also implicitly acknowledge that the prank had a serious point. Mr. Boghossian–along with two confederates, neither of whom has an academic affiliation–set out to expose shoddy scholarship in what they call “grievance studies.” They concocted 20 pseudonymous “academic papers,” complete with fake data, and submitted them to leading peer-reviewed scholarly journals in fields like “queer studies” and “fat studies.” The Journal’s Jillian Melchior discovered the deception last summer and broke the story in October, by which time seven of the phony papers had been accepted for publication and four published. A hastily formed university committee recommended that Mr. Boghossian be investigated for “research misconduct”–that is, purposely fabricating data. That case would seem to be open and shut, but the investigation has stalled. 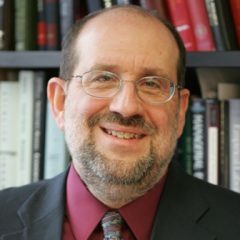 Philip Hamburger, a law professor at Columbia, argues that the National Research Act and the HHS’s regulations violate the First Amendment, infringing on scholars’ freedom of expression. Mr. Hamburger has likened IRB vetting procedures to the Star Chamber’s licensing of publications that prevailed in 17th-century England–which the Constitution’s drafters were eager not to replicate. “Licensing . . . prohibits generally, and then selectively permits what otherwise is forbidden,” Mr. Hamburger wrote in 2007. Charlotte Allen. “A Hoax and Its ‘Human Subjects’; An Institutional Review Board disciplines an academic prankster. But is it constitutional?” The Wall Street Journal (Tuesday, Jan. 29, 2019): A15.